Bear Mattress Review - Mattress For Athletes? 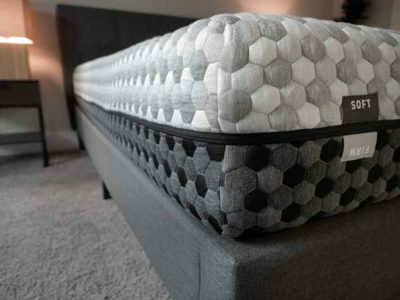 Home » Bear Mattress Review – Made For Athletes? 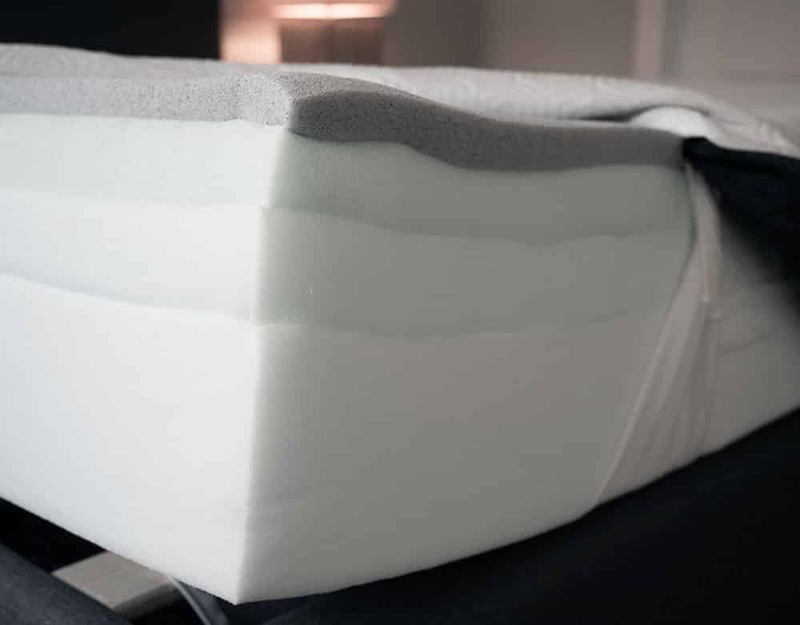 Bear Mattress Review – Made For Athletes? The original Bear mattress is an all-foam designed to help with recovery, blood flow, and cooling. While the mattress is marketed toward athletes, these attributes should be attractive to most consumers. I have reviewed many mattresses since I originally tried out the Bear. I was very excited to go back and revisit this mattress. The second time around I found the mattress to be quite comfortable. Will you find the recovery you seek on the Bear mattress? Read on for my full review. You are a back or side sleeper. The Bear was supportive on my back, so my hips didn’t sink in too far. This mattress relieved pressure on my side very well. I felt little pressure on my shoulders and hips. You want a memory foam feel but don’t want to sleep hot. Memory foam is known for trapping heat, but you shouldn’t have this problem on the Bear. The Celliant cover and graphite gel infusion both promote heat dissipating and cooling. You want a memory foam feel without getting stuck. 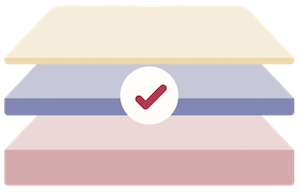 While the mattress has a nice soft upper layer, it is still fast to respond. You will get the feeling of memory foam, but you will still be able to move around on the mattress. You are a stomach sleeper. This mattress is medium-firm and doesn’t offer the best support for stomach sleepers. If you sleep primarily in this position, you might want to find a more supportive mattress. You prefer a firmer mattress. The Bear is about medium in terms of firmness, so if you need extra support or prefer the feeling of a firmer mattress, this might be too soft for you. The soft cover is woven together with Celliant. The first layer is 1.5” of a Graphite-Gel memory foam. Then there is a 1” layer of responsive, latex-like comfort foam. This is followed by a 1” layer of transitional performance foam. On the bottom, there is a 6.5” standard base layer of high-density support foam. The foams used in the Bear are CertiPUR-US® certified. This means they are eco-friendly. The Bear is made in the USA. The Bear is available in Twin, Twin XL, Full, Queen, King, and California King. Celliant is designed to help keep you cool and it also improves blood circulation. There are definite health benefits to the cover. The graphite gel memory foam also helps with cooling. This layer, together with the Celliant cover, should keep you from sleeping hot. Overheating is a common issue with memory foam, but that shouldn’t be a problem here. This graphite gel is also fast to respond and the following latex-like layer is as well. The next layer is quite a bit firmer, so it keeps you from sinking in too far. You get pressure relief, but you don’t get the feeling of getting stuck. How Does This Mattress Compare To The Casper Mattress? Comparing the Bear to one of its leading competitors, the Casper, there are quite a few differences. First, the Bear has Celliant in its cover, while the Casper does not. This means the Bear may be cooler to the touch than the Casper. Both mattresses are similar in terms of firmness, but Casper has zoned construction, while the Bear does not. The zones make the mattress firmer under key areas like the hips. 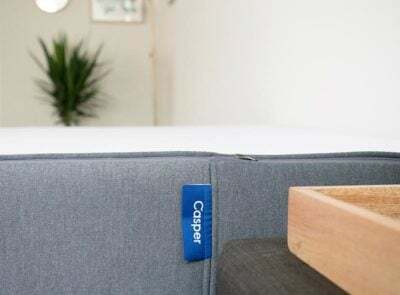 They are designed to give extra support in these heavier areas, so the Casper may be a better choice for back and stomach sleepers. The Bear and Casper both incorporate memory foam into their construction, but it is found in different layers. The Bear has memory foam on top, but the Casper has it in the second layer. Because of this, the Bear has more of a classic memory foam feel, and the Casper has more a balanced foam feel. Read our full review of the Casper mattress, HERE. For me, the Bear felt like a 6.5/10, medium in terms of firmness. The first two layers are very soft, but then the layers get firmer beneath. Combined, this gives the mattress an average firmness. On my back, I felt good overall support. I felt my hips sinking in a bit, but not too far. The foam also conformed to my body. On my side, I felt very nice pressure relief. There was little pressure on my shoulders and hips. For people of average weight, the experience should be the same. However, heavier side sleepers may quickly press through the soft upper layers and feel those firmer layers beneath. Because of this, larger people may find this mattress to be firmer than I did. On my stomach, I definitely needed more support. I felt my hips sinking in too far, taking my spine out of alignment. I think most stomach sleepers will need a mattress that is more supportive than the Bear. All-foam mattresses are often very good at motion isolation. Given that the Bear has memory foam in its top layer, I was not surprised by how it performed. The glass moved only slightly during my initial tests. Also, when Marten moved around on the other side of the mattress, I barely felt his movements. I think the Bear could be a good mattress for couples. All-foam mattresses may be great with motion isolation, but they do have issues with edge support. Sitting near the edge of the Bear, it collapses quite a bit. Lying down near the edge, I don’t feel like I am going to fall off. However, overall, I would say the edge support is not the best on the Bear. I felt like this mattress was a 7/10, a bit firmer than Joe said. On my back, I feel good overall support. My hips sink in a bit, but not too far. Moving onto my side, there was a little bit of pressure there. There wasn’t too much, but I could have used a softer mattress I think. On the pressure map, you can see some red on my shoulders and hips. Moving onto my stomach, I needed more overall support. I bow in at my hips and feel my spine get out of alignment. I definitely needed more support in this position. So, if you’re a heavier person and you’re a back sleeper, the Bear should work for you. If you’re a side sleeper, it might be a little too firm, depending on your preferences. On your stomach, you’re definitely going to need more overall support. I was not surprised by Marten’s experience on the Bear. Like me, he thought the mattress was supportive when he was on his back. As I expected, he thought it was a bit firm when he was on his side. He is a heavier person, so he pressed down into the firm support layers. It could be a good choice for athletes and those wanting extra health benefits. The mattress is designed to improve blood flow and to keep you cool while you sleep. Whether you are an athlete or not, it could improve your sleep. The Bear should be a cool sleeping mattress. 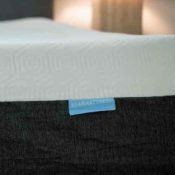 The Celliant cover, as well as graphite-gel foam, should both help keep you cool while you sleep. Even though this is an all-foam mattress, you shouldn’t be overheating. It gives you pressure relief without you feeling “stuck.” The memory foam is fast to respond, and there are firmer layers that keep you from sinking in too far. You should get a bit of memory foam feel and little pressure on your shoulders and hips. Side sleepers should enjoy this mattress. Back sleepers should get the proper support. The Bear is average in terms of firmness and it should be properly supportive for most back sleepers. The foam should also conform to the curves of your body. 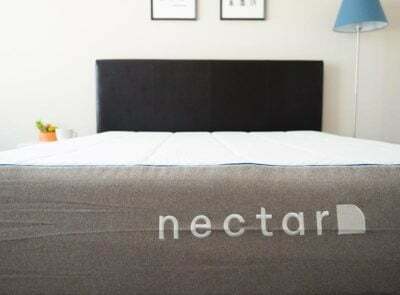 The Bear mattress talks mostly about Celliant technology, which I'm not so familiar with as a mattress reviewer, so decide the merits of that technology for yourself. However looking at just the feel and materials of the mattress, the Bear still tends to be one of my favorites. 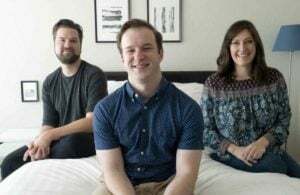 The mattress is made by a family that's been in the (local) mattress business for a few generations, so they made a product that they knew customers wanted in terms of feel and comfort. Overall I had a good experience with the Bear mattress and do recommend it. The Bear is a bed-in-a-box mattress, which means it will come compressed and be shipped straight to you. You will want to begin by removing the rolled up Bear mattress from its box. Then, preferably with another person’s assistance, position the roll on your bed. Carefully cut away the first layers of plastic until the still-compact mattress can be laid down flat. Then, pierce through the final layer of plastic and the Bear will expand. Simply clear away the excess plastic and allow your mattress to breathe and fully expand. 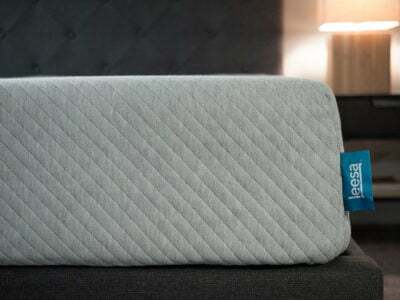 The Bear mattress should be a great match for back sleepers and many side sleepers. It also offers health benefits like increased blood flow and should keep you from sleeping hot. However, heavier side sleepers and most stomach sleepers might not be the best match for this mattress. The Bear comes with a 100 Night Sleep Trial, a 10 Year Warranty, and Free Shipping and Returns. Financing is also available. The company also offers a hybrid mattress. Take a look at Saatva. The most important feature for me is firmness. What would you suggest for the most firm mattress out there. Also, what is the procedure for returning the mattress if you don’t like it. You could check out the Helix, where you get to select exactly how firm you want your mattress to be. Returns are usually pretty simple but they vary depending the retailer in question. I am debating whether to go with a Bear mattress, Nolah, or something latex (possibly Plush Bed). I have a physical condition that makes it harder for me to reposition on the mattress. I am a side sleeper and have wide shoulders and presently experience shoulder pain many mornings. I also tend to sleep hot. Bear appeals to me due to the Celiant and supposed “cool sleeping”. Latex appeals to me because of the fact that I shouldn’t sink in and feel stuck. Latex also is represented to sleep cooler. Nolah appeals for many of the reasons that latex does. Which way should I lean? Thanks for your reviews. I have found them quite helpful. I am trying to decide between the Bear or the GhostBed. I have some lower back issues. Do you think one is better than the other for helping with back pain? Honestly, I think they are going to be pretty similar in this regard. is the foam made from petroleum or organic materials like soybean oil? What about off-gassing odour? It’s made from petroleum. Pretty standard really. There is a little off-gassing but it does go away after a couple of days. Thanks for your great reviews! We bought a king Bear mattress and want to put it on our old box springs with plywood underneath for support. Do you have any recommendations for the thickness, etc. That should be fine, but I would just reach out to them directly for the best advice. Love your site!! Thank you for all the hard work!! Keep up the good fight because mattress buying is one of the most confusing things for the public. This sounds perfect! Love that it comes right to your door & I love the honesty of your review, that’s so important! I started looking for a new mattress a couple of days ago and to my dismay found there are at least 100 online mattress manufacturers. When I originally started looking back a year ago I found between 40 or 50. Anyway, it is crazy. My question to you is this. In your opinion is there a mattress or two or three that no matter the materials used, or price as an issue, that you believe is the best all around? I am overwhelmed by the choices, which is a good thing I guess because all of that competition is not only driving the price of a quality mattress way down but also pushing manufacturers to create new designs and technologies. That’s one of the great things about capitalism. I could spend the next 6 months reading reviews and still not be sure what to choose. If you have any ideas I would love to hear them because I believe your reviews are among the best written and most complete online. Thanks for all your efforts in helping consumers like myself to make an informed choice of one of the most important items we ever invest in. A house and automobile are 1 and 2 but the mattress is right there with both. Thanks! 1. Covered with an old style mattress pad, a fitted sheet and a flat sheet (these are mostly inexpensive synthetic material). 2. Beneath the mattress, I had slats spaced about 4″ apart – I added 3″ slats in those gaps. 3. In addition, I placed an inexpensive 1.5″ memory foam topper ON THE SLATS to protect the mattress from the slats and to provide a smooth surface for tucking in sheets. One concern is the degree to which I may have reduced the airflow under the mattress; the other is the degree to which I may have too much material covering the top of the mattress which may impact the beneficial effects of the graphite-gel memory foam for cooling (I do not “think” I am impacting the celliant action). Thanks for anyone who can provide their thoughts and comments. Hi Doug! Let me ask – what is your goal with the memory foam topper under the mattress? The slats should be fine to put the mattress on directly – just reference the Bear mattress warranty to make sure they are close enough (sounds like you’re more than fine). Adding that memory foam layer on the bottom probably won’t have a huge impact on airflow. 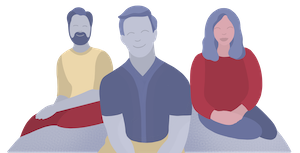 What will have an impact on airflow is the sheets – if you’re really concerned about cooling, I would invest in some quality breathable sheets. How does the Bear mattress compare to the Lull? It seems like they are very similar in price point, composition, and comfort. The only thing is that the Bear mattress has celiant technology which isn’t scientifically proven yet. Do you have a preference? I’m also an athlete. Hi Nat – Bear stands out with the Celliant, so it makes it harder to compare if that doesn’t matter to you. Other than that, the big thing is that Bear is also all memory foam, while Lull has a latex-like layer under the memory foam comfort layer, so Lull will “spring” back a little more quickly than Bear. In terms of quality/specs I think these two are pretty similar, it really comes down to that feel preference. For a 6’1″ 215 pound man, would the bear mattress offer enough support? Hi Olivia – I’m less than that weight, but not too far off, so I think that it would be fine for a 215 lb person. I am trying to decide between the Bear Mattress and Brooklyn Bedding BME medium. Which would you recommend? Which sleeps cooler? Thanks! Both good options. As for sleeping cool, I didn’t really have a problem with either one. Maybe slight edge to BME. The main difference would be the BME is gonna give you a bouncier feel.